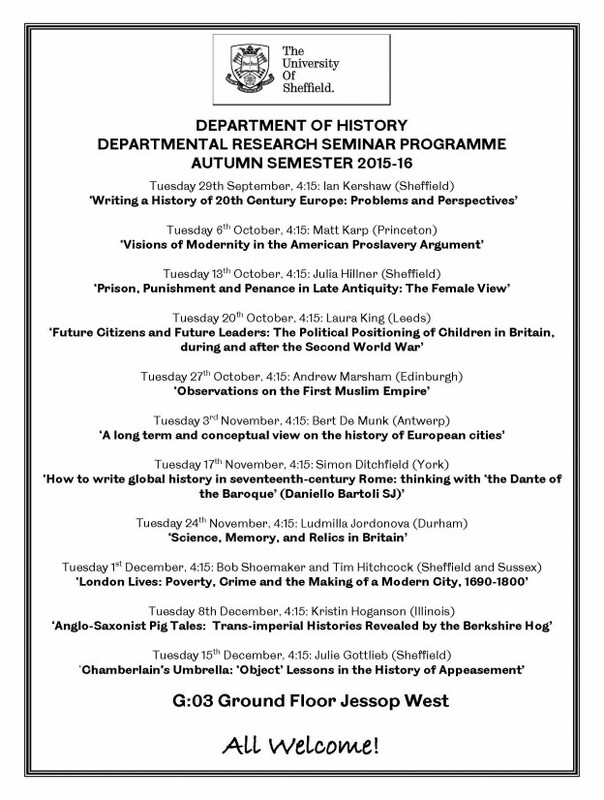 We are very pleased to announce our forthcoming Department Seminar programme. As usual each seminar will be held on Tuesdays at 16:15 in G:03 (ground floor Jessop West). Seminars are followed by drinks and dinner with the speaker organised by the chair. This entry was posted in News and tagged department seminar, Guest Speakers, Research on September 11, 2015 by Alice Johnstone.